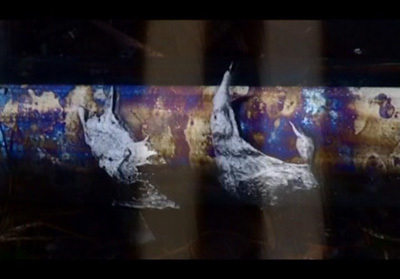 The video about various stages of a vehicle’s destruction explores processes of visual deconstruction & reconstruction. In opposition to the meditative characteristics of the slowed down video material a dramatic sense is created by the narrative which traces the tension between the different aesthetics of the advertisements and the real situation. The narrative explores contemporary mobility, destructive energy, entropy and a type of virtual simulated reality (artificial created imagery) inside the real world.